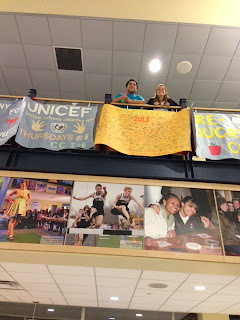 Crawford County Helps Allegheny College to Spread the Word! The Allegheny College Best Buddies in conjunction with The Arc of Crawford County held a campaign to “Spread the Word to End the Word” and obtain pledges to end the use of the “R” word (retarded) as a put down or insult to others. The new R-word is RESPECT! The club made buttons to pass out when visitors stopped by their table and they served cake and punch. To make it even more educational, they invited the Crawford County Drug and Alcohol Team to share information about Fetal Alcohol Syndrome and how it is the largest preventable cause of Intellectual Disabilities. The team also told everyone that learning responsible social habits, especially when it comes to drinking, is very important. Special Olympics PA – Crawford County displayed a poster during the event to promote their events, and representatives were on hand to answer questions. Calista Cares Crafts and Jewelry was also available. Calista, a Crawford County volunteer, has been one of the program’s largest single fundraisers for the past 5 years. Alex, an athlete who makes wooden puzzles and sells them, was also there display his handy work. When the event was over, Allegheny College students Brooke and Pedro from hung the signature poster in the campus center for all to see. The United States Tennis Association (USTA) Central Pennsylvania Tennis District recently awarded Tom Flynn and Cheree Jones 2012 Industry Awards. Tom Flynn received the 2012 Tournament Director of the Year Award for his extraordinary dedication to organizing and directing tennis tournaments for Special Olympics Pennsylvania over the past five years, serving as its Venue Coordinator for Summer Games. Cheree Jones, 2012 President’s Choice Award recipient, stands with USTA Central PA District President, Denise Dunn. The Central Pennsylvania Tennis District (CPD) focuses on one mission: To promote and develop the game of tennis in Central Pennsylvania. CPD offers programs for all ages and ability levels including popular programs such as USTA League Tennis, the nation's largest recreational league, Jr. Team Tennis, as well as the rapidly-growing Tennis on Campus program. Special Olympics PA – Philadelphia and The School District of Philadelphia Team Up To Spread the Word! Spread the Word to End the Word™ is an ongoing effort by Special Olympics, "Best Buddies" and our supporters to raise the consciousness of society about the dehumanizing and hurtful effects of the word “retard(ed)” and encourages people to pledge to stop using the R-word. 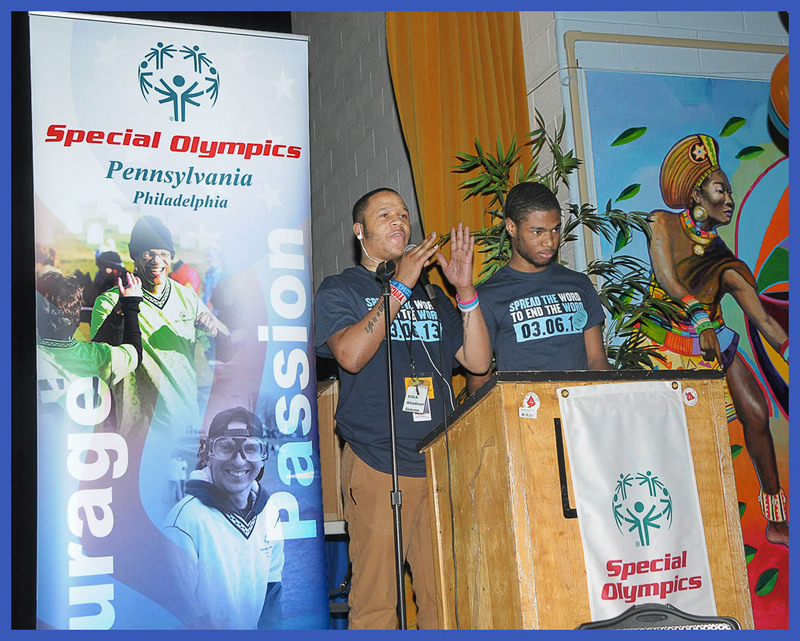 This year, Special Olympics PA – Philadelphia, the School District of Philadelphia and five Project UNIFY schools hosted R-Word assemblies. The participating schools included: University City High School (pictured above), High School of the Future, Parkway West High School, Martha Washington Elementary School, and Wister Elementary School. Join Special Olympics PA - Philadelphia for the 28th Annual Leprechaun Run, a beloved tradition since 1984, on Saturday, March 16, 2013. The fast and flat 5-mile course offers runners a scenic view of the City of Philadelphia from the beautifully revitalized Navy Yard. The 2 mile Fun Run is perfect for runners, walkers and families. For more information, visit http://www.leprechaunrun.org/. Special Olympics PA – Lebanon County continues its long-standing partnership with Lebanon Valley College (LVC) and NCAA Division III. Multiple LVC teams - including soccer, women's basketball, and swimming - work with the Special Olympics each year. Lebanon County athletes look forward to working with their friends at LVC through a number of offered clinics and hosted events in the areas of aquatics, soccer, track and field, long distance walking/running, tennis, basketball, and power lifting. 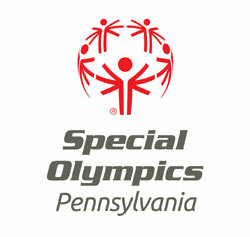 In 2009, LVC was named the Special Olympics Pennsylvania College of the Year for its department-wide dedication towards working with the organization. NCAA Division III and Special Olympics International also have a national partnership, aiming to foster a mutual learning experience between Division III student-athletes and Special Olympics athletes. Thanks to the leadership and coordination efforts of Outreach Coordinator Pam Khare, Special Olympics PA – Warren County successfully held its 4th Annual Healthy Eating program for athletes on Saturday, February 23, 2013 at Holy Redeemer Church. Over 65 athletes participated, making it the best event ever! Northwest Health Connections and local dentist, Dr. Crum from Warren Dental Arts, provided classes and education about the importance of healthy eating. Lunch was provided and gift bags full of healthy snacks, tooth brushes, floss and toothpaste were given to each athlete, donated by BEI Warren. The health of our athletes starts with knowing about Healthy Eating!